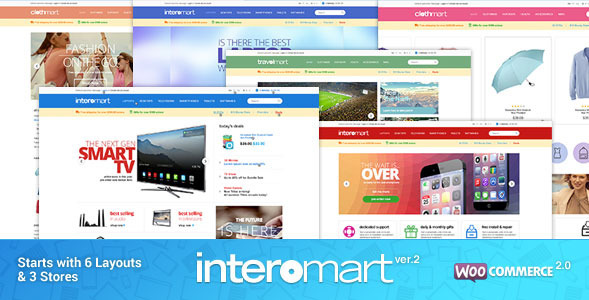 InteroMart is a package of 11+ Best Premium eCommerce WP Themes. Designed by Top Elite Author. New update on 2016. Televisions (TV), cameras, heasets, audio, smarthomes, high-tech devices. 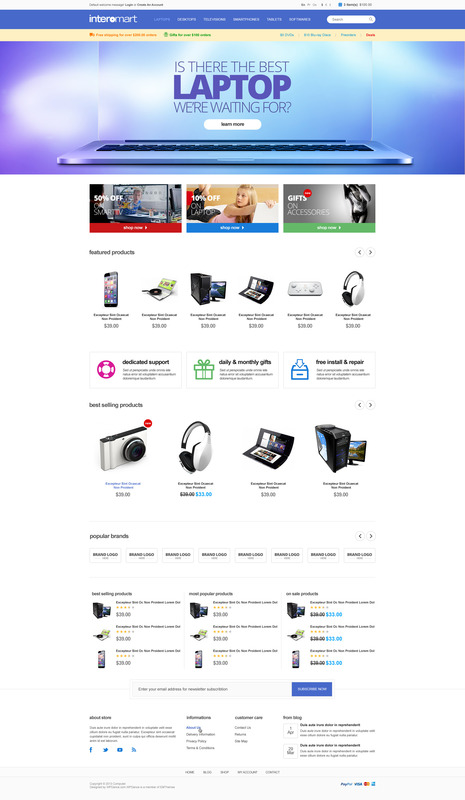 Theme includes various styles: creative, unique, flat, material design, metro, clean, elegant, minimal, simplicity, generic, common, box, modern, outstanding, eye-catching. Web Responsive Design, helps you to save huge cost for purchasing extra versions for tablets and mobiles. With this feature, everyone can surf your store without annoying inappropriate look, since it will automatically resize website’s width when customers change screen resolution or resize browser. Product widgets allow you to organize products neatly and nicely. Visitors can access to it fast, get full information, and have a closer look. Know it, experience it, and love it. You won’t regret buying it. General Settings : Config logo,favor icon,post per page,sidebar contact form and copyright. Advertisement : Manager Header Advertisement. Integration : Using to insert your custom html/js code. 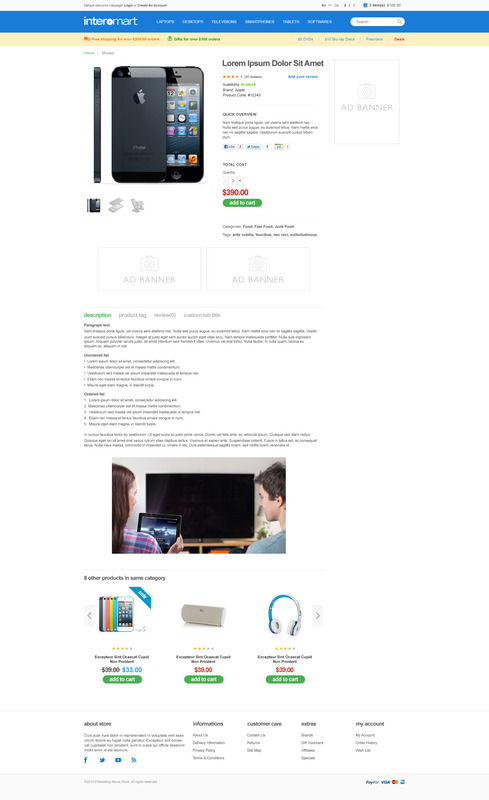 Product Category : Config Product Category page. Product Details : Config Product Single page. Blog Options : Config Blog page. Blog Details : Config Blog Detail page. Show or hide sidebar, left, right column or full with on any appropriated page, product or product category. 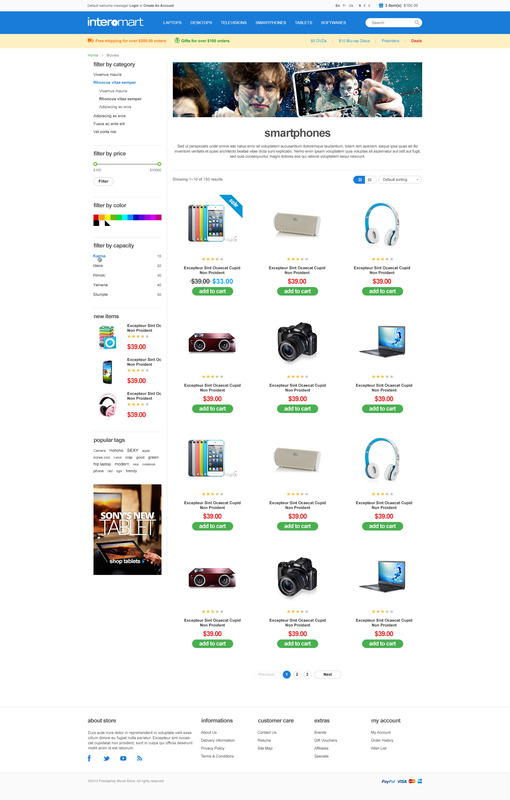 - Fixed bug Breadcrumb for Product permalinks "Shop base with category Type"